Total Copy is an improved version of Windows’ copy-function which copies slightly faster than Windows. With this app you can pause the copy-processes, and continue later. 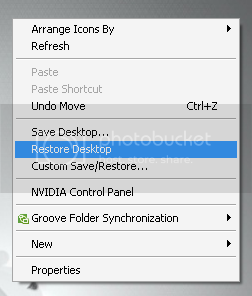 The best part of this app is that you can resume the copy process when you restart your pc. This is really helpful especially in case of power-loss or system-crash. When you normally copy something in Windows, you drag the files from one folder to another using your left mousebutton. If you drag the files using the right mousebutton, you will get a menu like the one to the right. Now, select “Total Copy here” instead of Window’s “Copy here”. Piky Basket is a small utility which works as a replacement for the Windows file copy/paste operation. It saves your time and effort when working with files and folders. With Piky Basket you can reduce repetitive tasks when copying or moving files and folders in Windows. It is really helpful if you are copying same set of files to different locations. It is integrated with Windows Explorer; you do not have to run Piky Basket as a separate program. 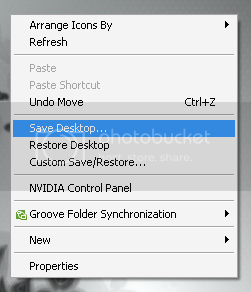 Just right click on any file or folder and access the menu. Select files which have to be copied and drop them in the Piky basket. 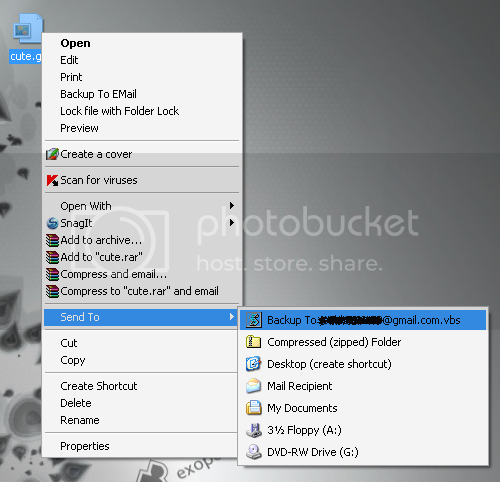 Piky Basket can get the file paths of the selected files/folders in Windows Explorer. All you need to do is select ‘Copy Paths to Clipboard’ and then paste the paths where ever you like. Launch Command Prompt (DOS Prompt) from the selected folder in Windows Explorer. InfoTag Magic displays extra data stored in the tag fields of MP3, WMA, APE and Ogg Vorbis files in a tooltip window when mouse pointer is hovered over a file in Windows Explorer. It also provides a quick preview for plain text files, shortcuts properties and version information of executable files. Windows Explorer doesn’t show the folder size when you select the ‘details’ explorer view. There’s a small app which will show the folder size when you switch to ‘details’ view. You can download the app here. You might have seen the unique Windows Vista navigation feature referred to as “breadcrumbs”. Some of you might have liked it as it allows you to have a much better view of the folder’s contents. There’s a small app known as “QTAddressBar” which helps you to get the bar in Xp. 1. Download QTAddressBar from here (official site) and extract it. 3. Click the Next button to register proceed with the installation. 4. Now you need to log off and on. QTTabBar is a small app which brings tabbed navigation in Windows explorer. This app is really helpful as it reduces the clutter when many windows are open at the same. Using Y’z Toolbar you can customize the explorer toolbar and icons. You can also create your and add your own themes. Download Y’s toolbar from here. In Vista, you might have seen a feature which shows the thumbnail preview image for each task in the Windows Taskbar. There’s a small utility known as Visual Task Tips which does the same in Windows XP. It’s just 100kb in size and is very light on resources. To install it just double click on the installer and reboot. Now just move the cursor to any task in taskbar to see the Visual Task Tips in action. FileMenu Tools allows you to customize the context menu of the Windows Explorer. You can add some build-in utilities in order to do operations over files and folders. Enable/disable the commands which are added by other applications to the context menu. Add customized commands which let run external applications, copy/move to a specific folder or delete specific file types. You can also configure the “Send to…” option. If you share your PC with someone else then you might get bugged at times when the settings, icon layouts, wallpaper, etc are changed. I have seen many people who have loads of icons on their Desktops, you can hardly see the desktop wallpaper because of the huge number of icons. Such people don’t like to get their icons get mixed up, as fetching for a particular icon in that mess is really painful. Well, there’s a program which saves your desktop icon layout and restores it whenever you want in order to save you from the trouble of fetching your icon.The application is just 248kb in size and is compatible with Windows 98, Windows ME, Windows 2000 and Windows XP. 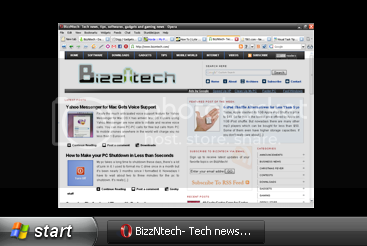 It very user friendly and installs in a few seconds. This tool changes the plain old drive icons to all new funky drive icons with horizontal bar below them indicating the storage space used. When the drive’s empty it will be blank, when it’s almost full the bar color changes to red. 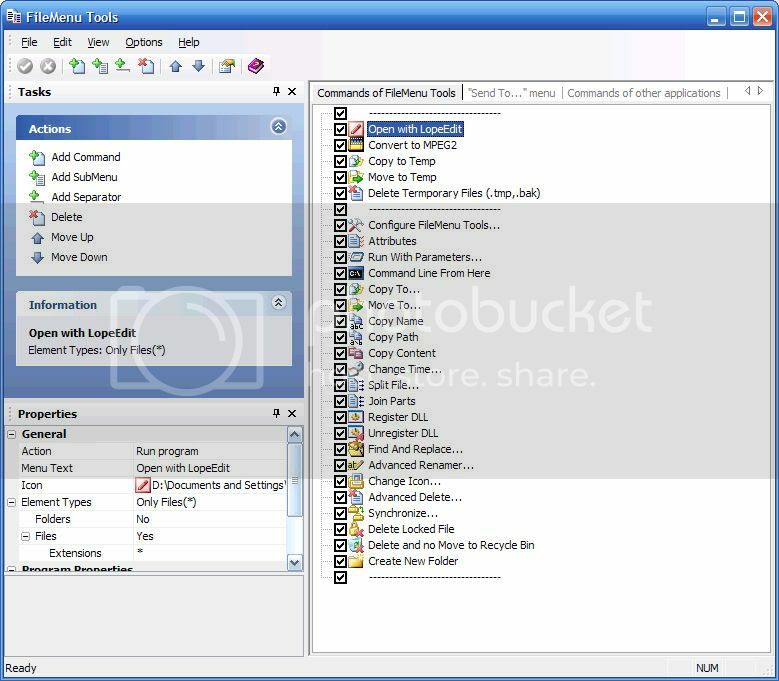 Clickie is a small app that will add 2 features to the context menu of Windows Explorer. The first one- ‘Copy Path Name’ – copies the path name of the selected item to the clipboard as normal text. The other is ‘Open MS Dos Prompt’ which opens a DOS window in the selected directory. That’s it for now people, hope you liked them. If you get hold of more feel free to mention here. I’ll add to the list. Right click and backup any file or folder to your email account, no limit on file size, files larger than 10MB are being split. TrayIt is an application which allows you to save the precious Taskbar space by minimizing windows in to the system tray (the one located in the right bottom of your screen). 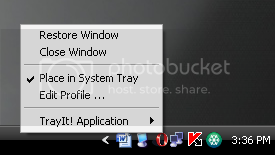 Each minimized window will be represented as a small icon in the system tray. It displays additional folders in the lower part of Explorer, which enables you to display the contents of two folders at once.